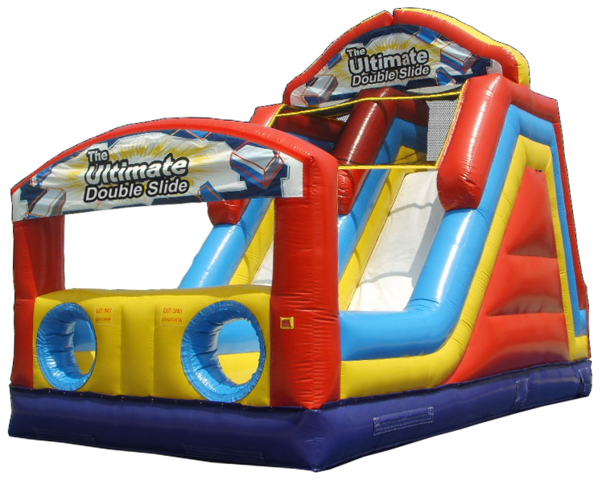 The Ultimate Double Slide is a unique rear loading double slide that can handle groups of any size! 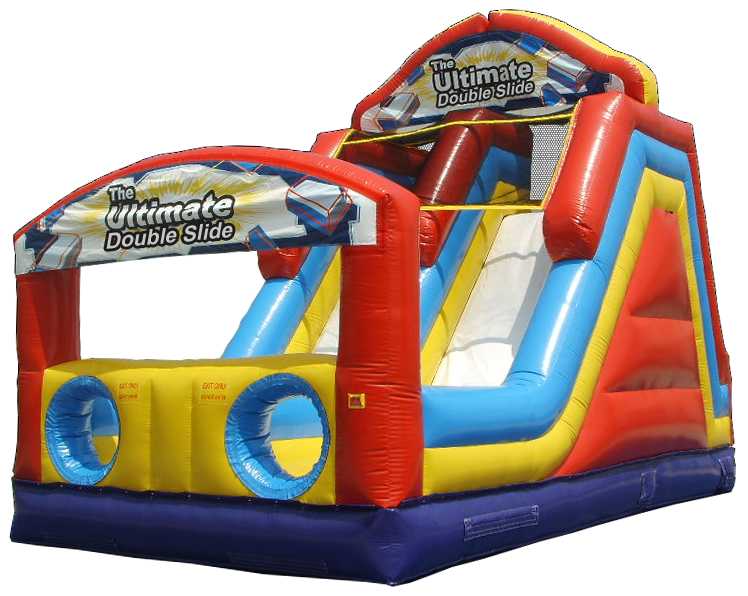 Kiddos and adults alike are sure to be entertained and captivated for hours by the Ultimate Double Slide. This amazing rental features a double loading climber in the back with a giant thrilling slide down the front! Requires a 4.5' wide opening and should be attended from front and rear when in high capacity use. This unit features all of the most recent safety updates. CAPACITY: Can accommodate 100-350 riders per hour. An adult MUST be present at ALL TIMES while unit is in use.